This absolutely gorgeous pair of earrings is made from small handmade rings all interwoven to make this triangular design. 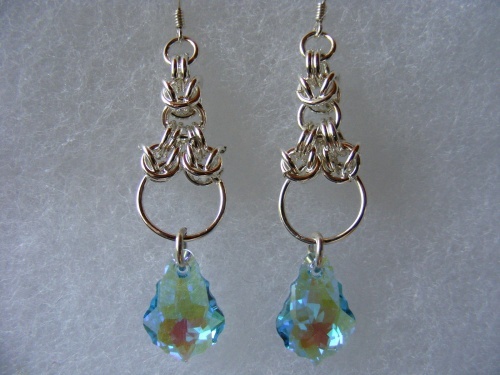 Dangling on the bottom of these are the luscious Austrian Swarovski Baroque Crystals!Choose from picture 1 Tabac or, 2 aqua velvet. Note color choice in dropdown menu.